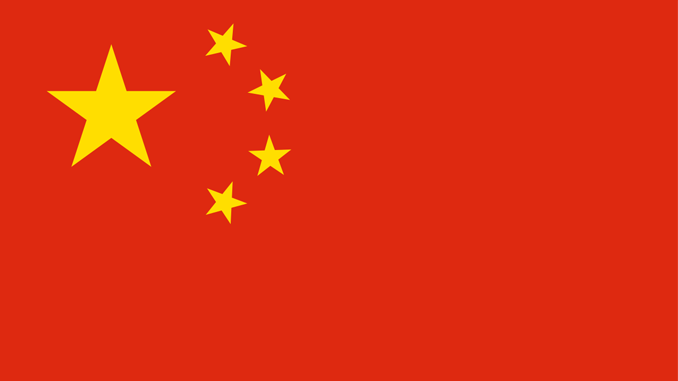 Flag of the People's Republic of China. Image by 古水. Politico reported on Monday that the Trump administration has nearly completed its study on domestic uranium production. This is a concern, as it is seen to be a prelude to a protectionist quota on uranium purchases. Trump could decide to impose an import quota in the coming months to ensure domestic uranium mining firms supply 25 percent of the U.S. market. That would force domestic companies to expand capacity exponentially: They supplied only 5.4 percent capacity in 2017. Commerce is scheduled to make its recommendation on April 14, though the shutdown may have delayed that deadline. The same article cites the Nuclear Energy Institute, the group representing nuclear energy producers, as being concerned about the impact such a mandate would have on their costs. Some nuclear plants, they say, would be at risk of going out of business due to the expected spike in uranium prices. Nuclear power currently provides roughly 9% of US domestic energy usage per the Energy Information Administration. Spikes in nuclear production costs will likely transfer to US energy consumers. This is not the only likely result of a domestic uranium purchase quota, however. Uranium is a fungible resource. It is not necessarily American uranium that countries desire, but rather uranium of any origin. Currently, the four greatest purchasers of uranium are the United States, France, Russia and China. Of the four nations, China’s nuclear ambitions, both in power generation and missile technology, are growing most rapidly. According to the South China Morning Post, they are expected to surpass the United States in uranium usage by 2030. Again according to the Post, a Trump quota on uranium would result in an additional 4.5 million kilograms of the radioactive element available for sale on the international market, at significantly lower prices. This would be a windfall for Chinese efforts to grow both its power plants and its weapon stockpile. Higher domestic energy prices, destruction to part of our energy sector, and aiding both the military and domestic growth of one of our strategic adversaries would be the direct result of a domestic production mandate. Whether it comes to pass will likely depend on how firmly President Trump maintains his love for tariffs as a policy enforcement mechanism.